One of the most common, as well as the most dangerous, injuries that a person can suffer in an accident is a traumatic head injury. Just about any activity, whether it’s playing sports, driving a car, or walking down the street, can result in a concussion. In fact, one of the leading injuries suffered in football collisions, car crashes, and slip & fall accidents is a concussion. Moreover, any kind of physical impact has the potential to be catastrophic when serious head trauma is involved. Of course, this doesn’t mean that you should stop living your life. It’s just a good reminder that accidents happen and that you need to exercise caution when engaging in almost any activity. Sometimes the impact to your head can be so great that you briefly lose consciousness. When you regain consciousness, you may not be fully aware of your surroundings or even cognizant of the fact that you just suffered a serious head injury. Headaches are one of the most common effects of a concussion. While it should probably be expected that you will suffer from at least minor headaches in the moments following a concussion, the persistence of headaches for days and weeks after the accident could mean that you are dealing with severe health problems. It is very common for a person suffering from a head injury to feel dizzy and struggle to maintain their balance. A blow to the brain can result in memory problems, both short term and long term. Time is not going to make these memory problems go away on their own, so you need to seek medical treatment. Head trauma can make it very difficult for you to hold down food. That’s because you may find yourself feeling nauseous regardless of what you eat. A severe impact to your head can lead to blurred vision. Brain damage can affect other parts of your body and potentially alter your senses. 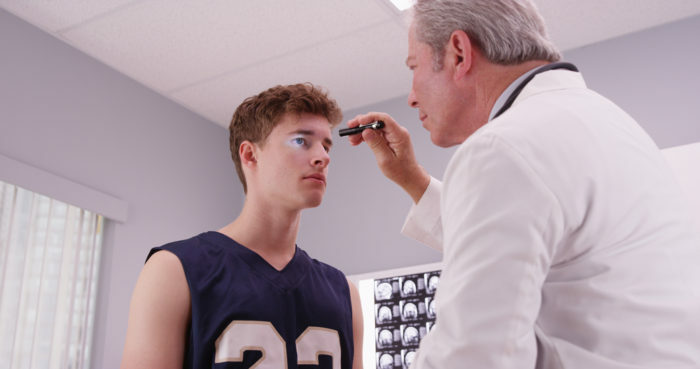 A person suffering from a concussion may find that they are suddenly very sensitive to light. Serious head trauma can also make a person extremely sensitive to certain sounds, which can lead to intense headaches. If you suffered a head injury, or any other type of injury, in an accident, you need to talk to a qualified personal injury lawyer immediately. Richard Stoloff is an experienced personal injury attorney who will help you get the compensation you need, want, and deserve. Contact Mr. Stoloff anytime to schedule a free initial consultation.